The Daily Beast is running a series of articles extracted from the book "Yeah! Yeah! Yeah! : The Beatles and America, Then and Now" by respected political journalist Michael Tomasky. 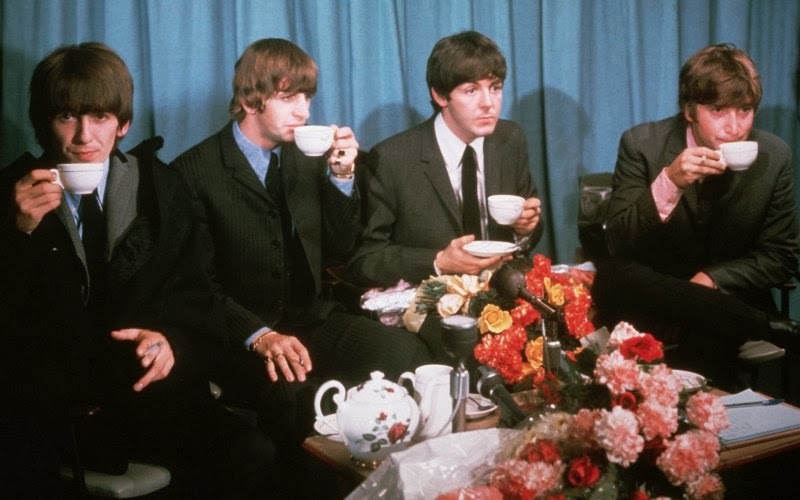 Today's excerpt is about why the "serious" press dismissed the Beatles initially. You can read it here. Personally, I'd like to address a related issue: What was it with the hair? What made otherwise intelligent people (parents of the time) wonder if long hair on boys attracted lice? Why didn't they think that the boys washed it very often? How come the New York press in 1964 wondered if the Beatles ever had haircuts? Didn't they think that boys' hair grew indefinitely and had to be trimmed to whichever length the boy wanted it to be? Were the adults of that era actually idiots? Wasn't it enough to watch girls with long hair to realise that long hair could both be washed often, didn't attract lice and had to be trimmed to stay at the desired length? This has me puzzled. those people asking those questions were the journalists of the mass media, who, in my opinion, tends to ask stupid question and do not important reports in any era where they are. The reason the Beatles' hair was such a topic for parents was that they considered it unmanly or effeminate. Girls wore long hair, but boys were supposed to have crew cuts or closely cropped, well groomed hair. America in 1964 was still a buttoned-down post-war country. The earthquake that became the '60s -- musically and culturally -- is just starting. You might even say that Feb. 9, 1964, was the night the tremors began. I remember my mother commenting as she watched the Beatles on Ed Sullivan -- don't they cut their hair? When people fear something they don't understand they tend to be irrrational. The old guard press feared the Beatles in '64. They knew they were witnessing the beginning of a cultural revolution and it scared them. So they tried diminishing the group with stupid insults, which were, needless to say, completely ineffective.